I mentioned that Under the Rotunda received a takedown notice, asking them to remove leaked MP3s from the new Hold Steady album, Stay Positive. It was polite, and civilised, and Keith complied. 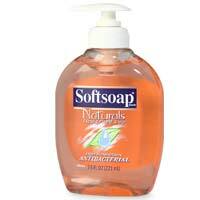 But I can’t help but think that takedown notices for leaked MP3s are as effective as antibacterial soap. The labels on the bottles proudly proclaim, “Kills 99% of bacteria!” But with an average doubling time of about 20 minutes, that just means that all the germs will be back in about two hours. On top of that, you’ve just selected for all the bugs that can survive the soap. Blogs like Under the Rotunda and z=z might comply with a takedown notice, but I bet that you could still find the MP3s online without too much difficulty. And it’s not necessarily going to be on sites by music fans that are engaged in conversations about the album. While I’m happy to accede to requests to remove MP3s, I’m not sure how holding the songs back for an extra six weeks will really help the band. And as a fan, I kind of worry about enthusiastic enforcement, since it makes me think of the difference between studios hosting preview screenings of their movies (because they are confident of what they’re selling and want the positive word of mouth) versus making sure no one can see their dud until opening weekend. I’m definitely still thinking about these issues. And heaven knows the music companies, even the independents, haven’t really figured out how to deal with the brave new world of negligible distribution costs. Although The Hold Steady are certainly going in the right direction on another front, by stressing the physicality of the CD itself – it’s a limited-edition digipak. Got an opinion? Feel free to share it in the comments.